For the third consecutive year the choir helped the villagers of Penllyn to celebrate St David’s Day. In doing so the choir has enabled the village to purchase not just one but two defibrillators. A good time was had by all and after the event we retired to the Red Fox for an informal sing-song. On Saturday, 23rd February, the choir entertained guests of Legends Hospitality in the Radisson Blu Hotel. 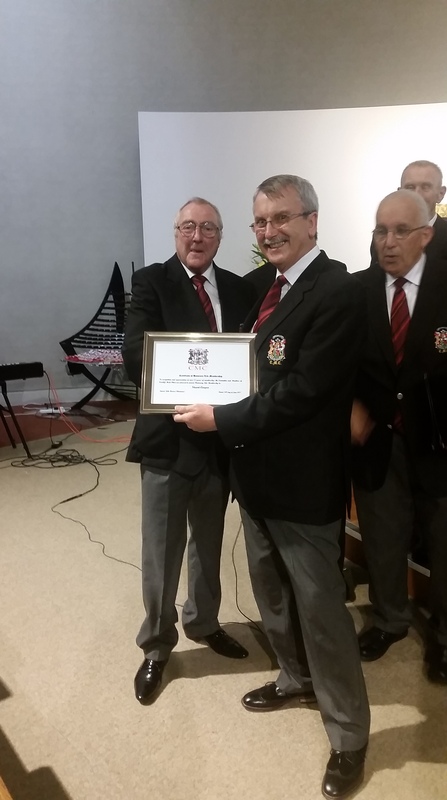 Former Welsh internationals J.P.R. Williams, Robert Jones and J.J. Williams were there to speak to Legends’ guests and the choir was in full voice to put everyone in good spirits before going off to watch the game. 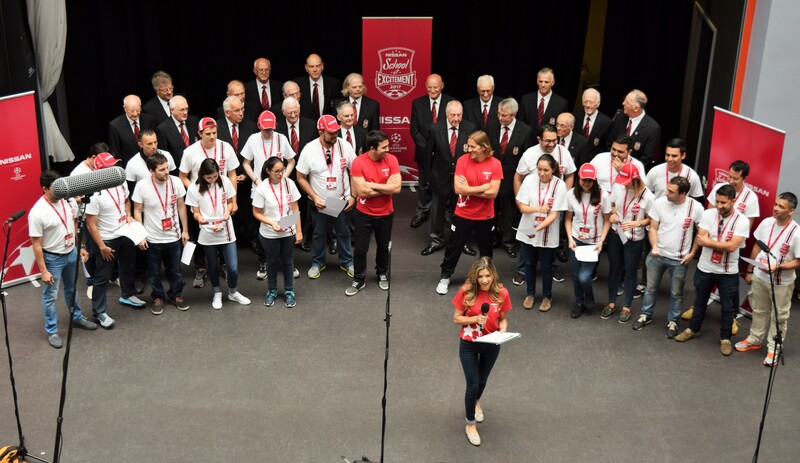 The choir looks forward to returning to the Radisson Blu on Saturday, 16th March to entertain guests of Legends Hospitality prior to the Wales v Ireland match. 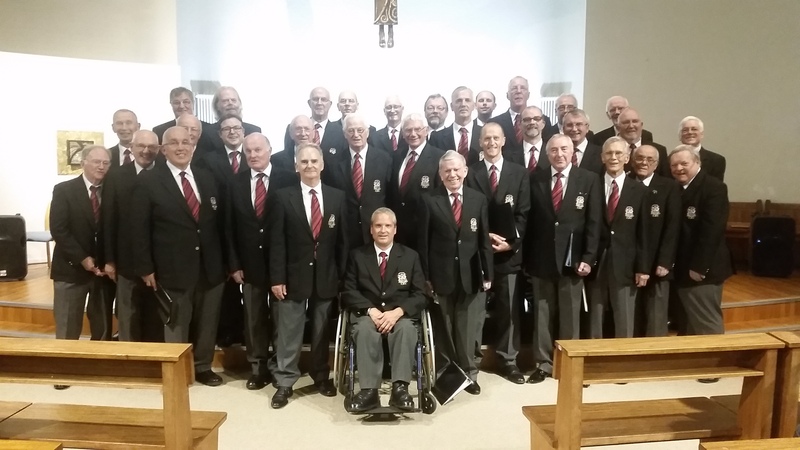 Cardiff Male Choir are honoured to perform at weddings across South Wales (and beyond) every year, and we’ve been blessed as a choir to add that special touch to so many couples wedding days. 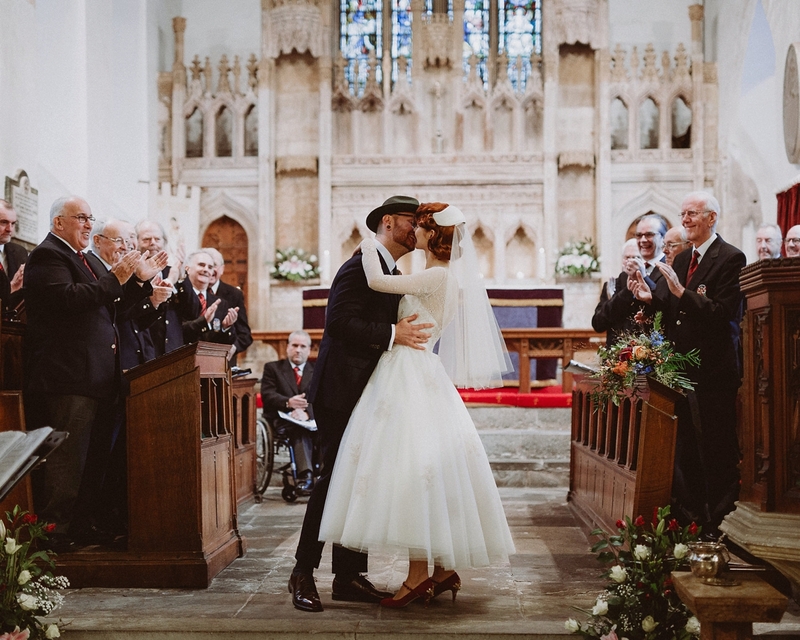 In December 2017, Cardiff Male Choir sang at Jonathan and Lucy’s 1940s inspired wedding which has recently been featured on the Love My Dress website. The choir have now closed their books for 2018, but we are taking wedding bookings for 2019 and beyond. Why not get in touch if you’d like to book the choir for your special day? Here are some more snaps from weddings over the last year. Both choirs enjoyed a very successful May Day concert on Tuesday the 1st of May as part of Koninklijk Kerkraads Mannenkoor’s tour to Wales. Both choirs sang a variety of opera choruses, classical items by Karl Jenkins, popular ballads including ‘The Rose’ and ‘You Raise Me Up’ as well as traditional items from both Wales and The Netherlands. We were honoured to have both the Mayor of Kerade and the Lord Mayor of Cardiff, Cllr Bob Derbyshire with us for the evening. Only two nights to go before our May concert! 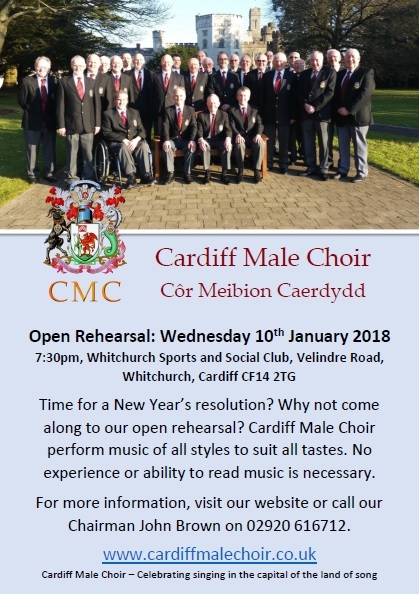 Cardiff Male Choir and Koninklijk Kerkraads Mannenkoor in concert. 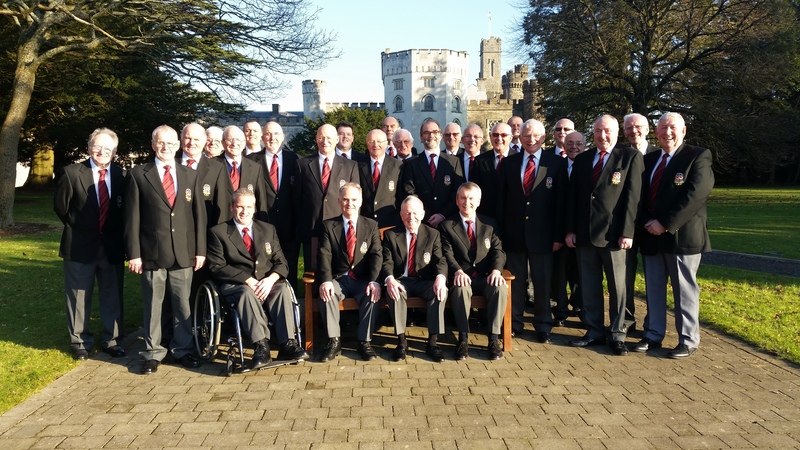 The Koninklijk Kerkraads Mannenkoor is visiting Cardiff in May 2018 for a three day visit to the capital city of Wales, and on Tuesday the 1st of May they will be joining the Cardiff Male Choir for an evening concert. Tickets are selling fast, so do ring to reserve your ticket. Here’s our Event Secretary Perry Martin promoting the event on the Wynne Evans show! Due to the poor weather, this event was cancelled but has been rescheduled! Please come and join Cardiff Male Choir on Saturday the 14th of April to celebrate a slightly belated St David’s Day! We’re sorry to say that our annual concert is now sold out. Please come back soon for more information on upcoming concerts including our Spring concert with the visiting Dutch choir Koninklijk Kerkraads Mannenkoor. 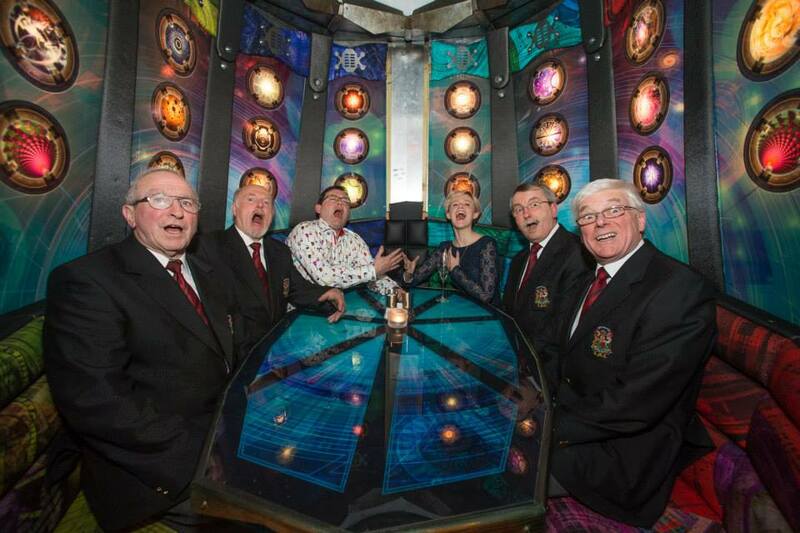 The choir will be singing in Queens Arcade Cardiff on Saturday the 16th of December, 11:00am. 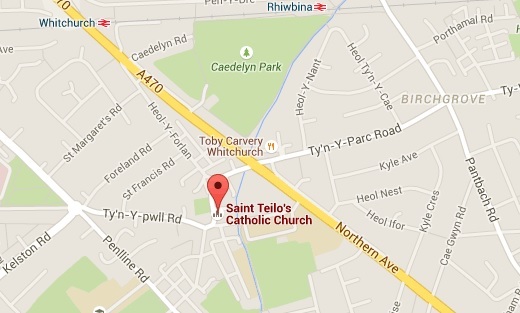 Why not come and join us to hear some carols and raise money for Cancer Research Wales. 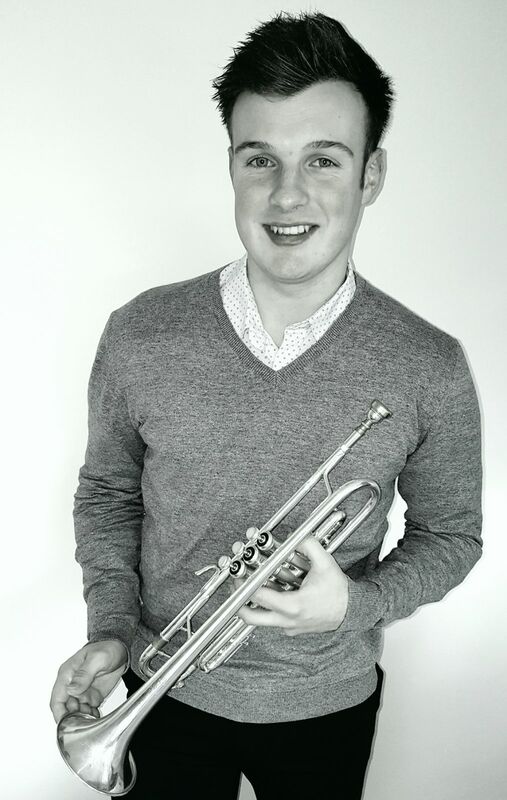 This year’s annual concert will feature soloist Corey Morris, a trumpeter and recent graduate of the Royal Welsh College of Music and Drama. It is with great sadness that we announce the passing of one of our dearest and long serving members, Graham Woodcock. 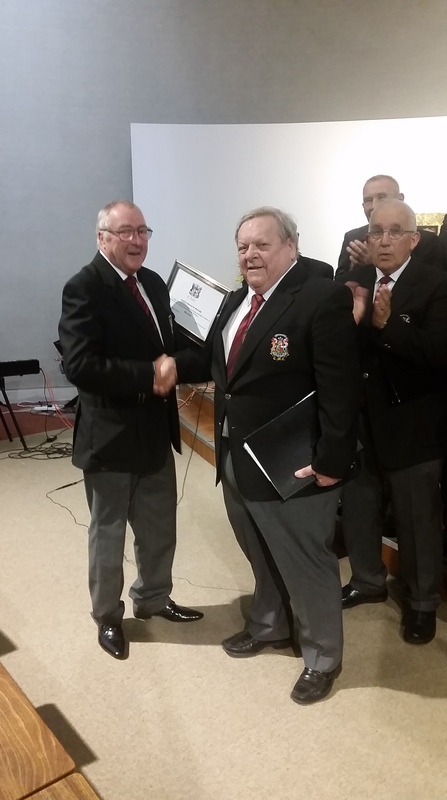 Graham kept our Bass 2 section rousing in many Welsh choruses over the years and will be greatly missed by everyone in Cardiff Male Choir. Graham was a keen musician and was also a member of the Newport Philharmonic Choir. September is a busy month for wedding! Cardiff Male Choir were delighted to sing at the Wedding of Rory and Rhiannon, Penarth Pier on the 16th of September, and at the wedding of Sara and Jon, Miskin Manor on the 23rd of September. 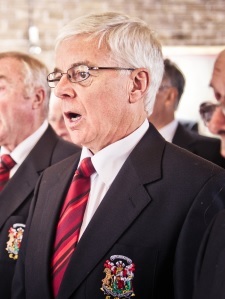 If you would like Cardiff Male Choir to add that special touch to your big day, why not contact us to find out more? 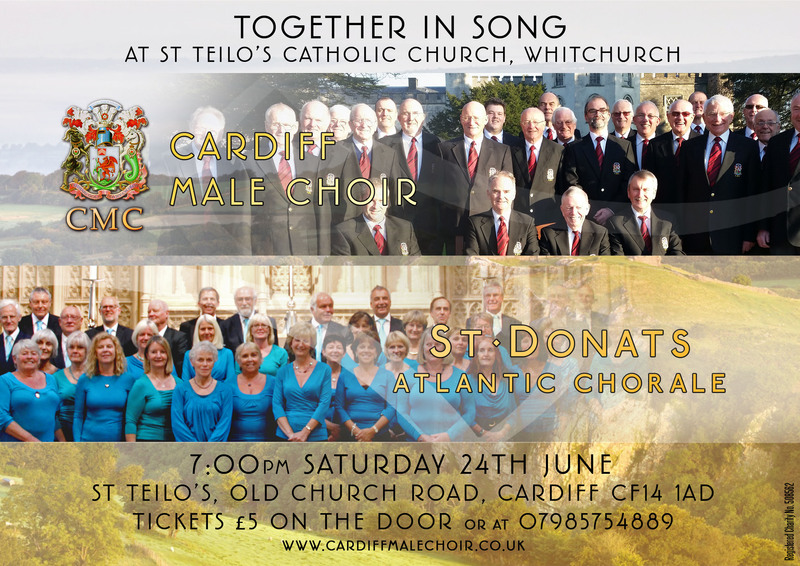 Cardiff Male Choir are very excited to be joining forces with the St Donat’s Atlantic Chorale this summer. This concert will mark the departure of our accompanist Carl, as he embarks on a new chapter of his life in France. 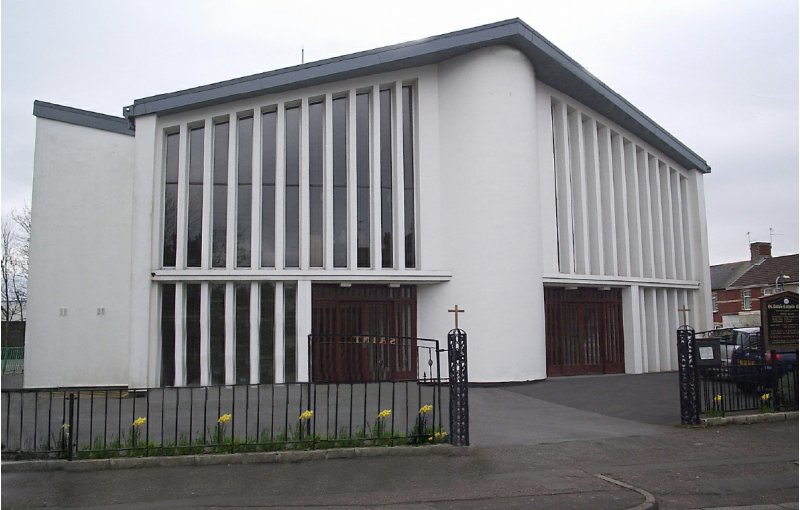 Carl conducts the St Donat’s Chorale, so this will be a farewell concert for two choirs. 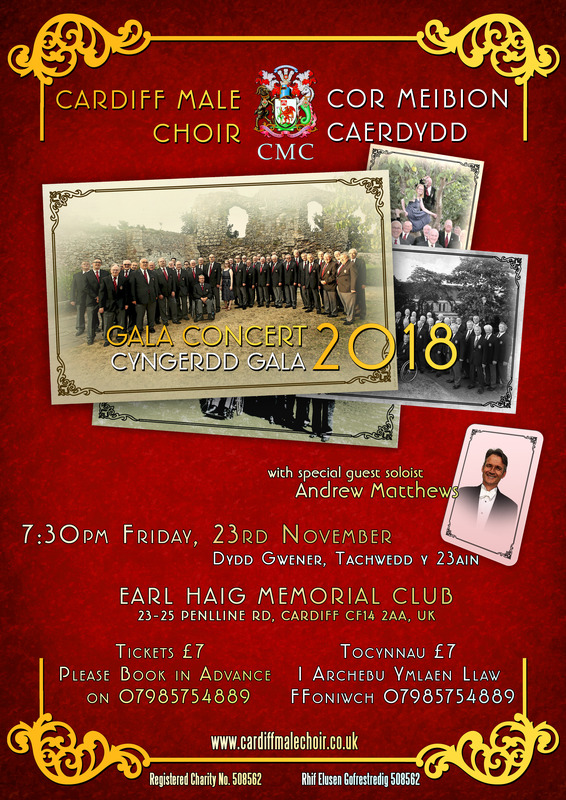 Both choirs will be performing a variety of material, some new items and several joint items. Ticket prices are only £5 with refreshments during the interval. You can ring Emma on 07985754889 or email her here to reserve tickets.